After selling out their last two Castlebar shows and their Irish Tour last April Jedward are back again in mid august just in time to enjoy a great night out before schools back!!! The show combines some of their great hits from X Factor as well as new cover songs. "Ice Ice Baby", which samples the bassline of the Queen/Bowie classic ‘Under Pressure,' was originally written by Vanilla Ice and DJ Earthquake; hitting No.1 across the world. The success of the single led Ice's album ‘To the Extreme' to sell over 15 million copies, making it one of the most successful selling rap records of all time. 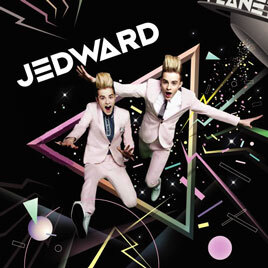 Jedward's version of the track has been produced by Nigel Wright, famed for his work with Take That, Boyzone and his long association with Andrew Lloyd Webber, as well as his role as musical director of The X Factor since 2004. John and Edward said of their single Ice Ice Baby: "A year ago we were training for cross country competitions and now like our idols we are living our dream. We really can't believe that we have a single out and are performing with Vanilla Ice. We're dedicating this single to all our fans who have been so supportive to us throughout The X Factor."